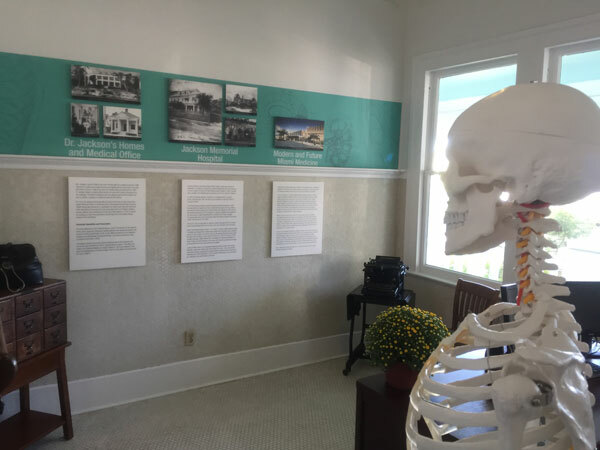 Human skeleton, period typewriter and exhibit panels in the medical office. 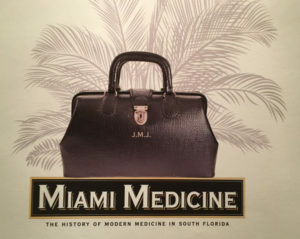 Dade Heritage Trust opened a new exhibit focusing on Dr. James M. Jackson and Miami Medicine. 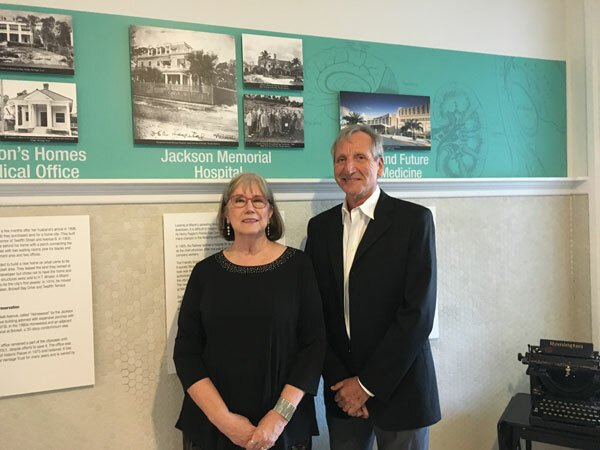 The Trust, formed to preserve Miami-Dade County’s architectural, environmental and cultural heritage through education and advocacy, is housed in the historic office and surgery of Dr. Jackson. 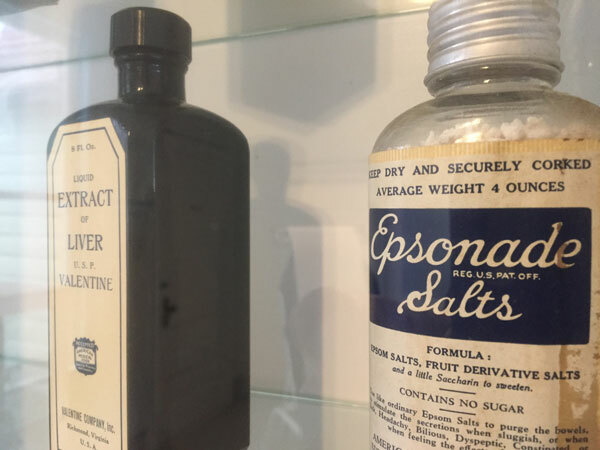 The exhibit highlights Dr. Jackson, folk and Native American health practices, medical instruments and the current and future paths of medicine. 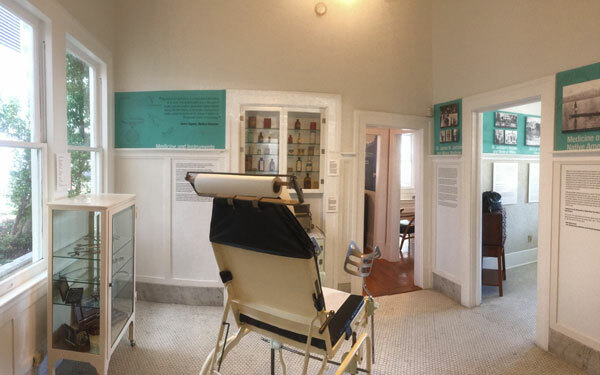 Two rooms are interpreted to represent a typical medical practice and office in the early 20th century. Considered to be the first professional physician to practice medicine in the City of Miami, Dr. Jackson arrived in the frontier city in 1896 to serve as the doctor for the Florida East Coast Railway in Miami. 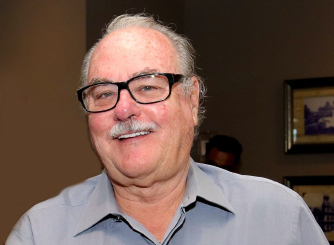 Dr. Jackson would experience many changes in his adopted city as it moved from a hard scrabble outpost to a popular destination and hot real estate market. He also worked on the front lines of medicine, tackling serious outbreaks of typhoid fever, malaria, yellow fever, tuberculosis, and the pandemic Spanish Influenza of 1918. As was the practice of the time, Dr. Jackson would make house calls and/or treat patients in his medical office. He served as the first president of the Miami City Hospital in 1918. This hospital ould later grow into today’s Jackson Memorial Hospital, named in his honor in 1924. 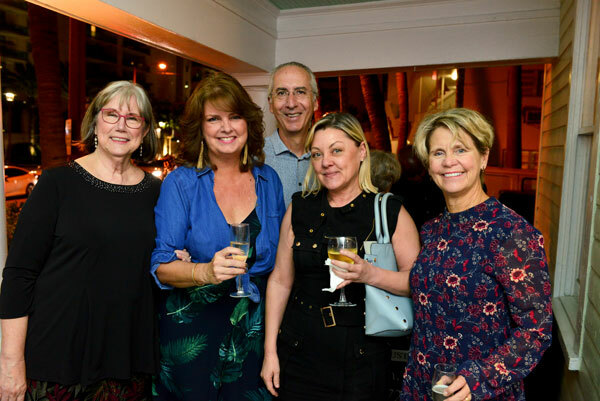 The exhibits, which are considered to be permanent and ongoing, were generously sponsored by the Jackson Health System, the Dr. John T. Macdonald Foundation, Miami-Dade County, Culture Builds Florida, the Miami Downtown Development Authority and the City of Miami. 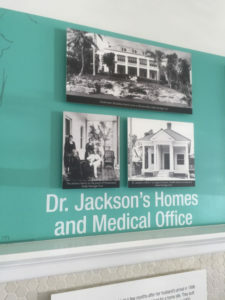 Information about Dr. Jackson’s two homes and medical office are featured in Jackson’s original medical office (now the home of Dade Heritage Trust). 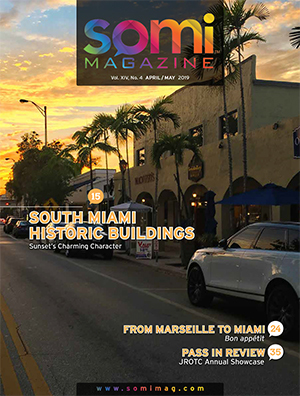 Founded in 1972, Dade Heritage Trust is Miami-Dade County’s largest preservation organization. DHT offers educational initiatives such as: Historic Places–Green Spaces Educational Program, walking tours, bike tours, workshops in historic venues, original exhibits and publications. 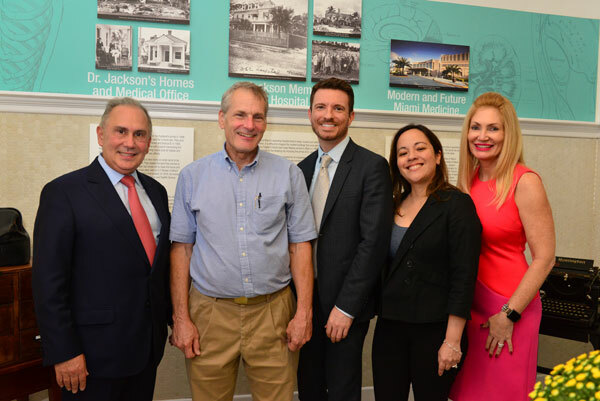 DHT’s advocacy efforts include historic neighborhood surveys, historic designation assistance, partnerships with non-profits, neighborhood organizations and local governments to improve Miami’s quality of life through preservation, affordable housing and restoration initiatives. 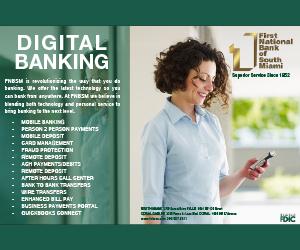 For more information: DHT is located at 190 SE 12th Terrace in the Financial District, 305.358.9572, DadeHeritageTrust.org and on Facebook,@DadeHeritageTrustMiami. Hours of operation are 9a-5p Monday through Friday, 10a-5p Saturday, 12a-5p on Sunday. 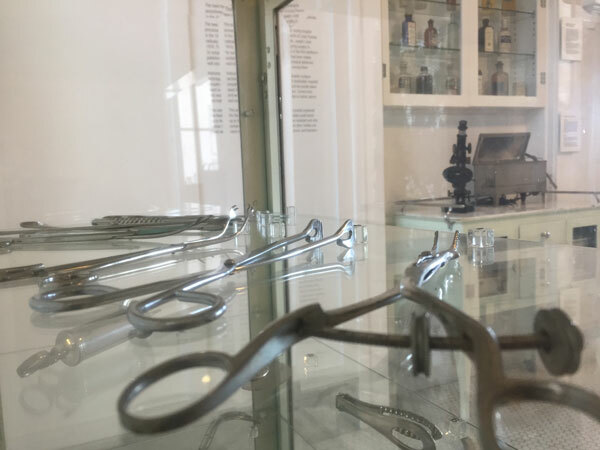 Medical instruments along with “nostrums” and other medicines on display in the surgery. Donna Shelley, exhibit curator and Dr. Thomas Mark, Chairman of the Board of Directors of the Dr. John T. Macdonald Foundation, one of the exhibit co-sponsors. Doctor’s exam table, cases with instruments and medicines on display help set tell the story of Dr. Jackson’s 1905-era surgery. 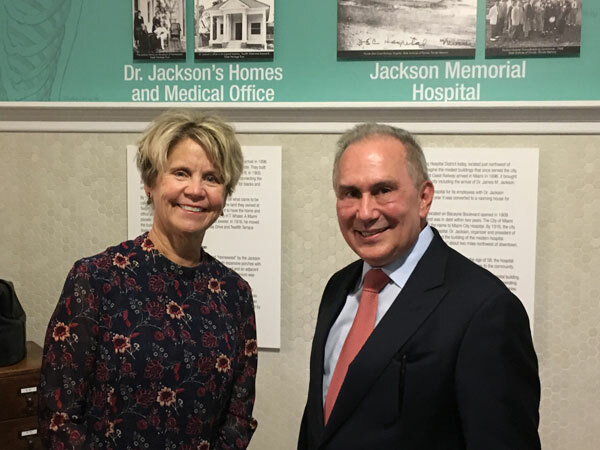 Dade Heritage Trust’s Executive Director, Christine Rupp with Jackson Health System Exec VP & COO Ed Steigman. lead Co-Sponsor of the exhibit.